"[Today] is the two-year mark of the massacre at Pulse. I will always remember the exact moment I heard this awful news, but it took days for the horror to fully sink in. We spent Sunday morning June 12, 2016, scrambling to locate our staff who lived in Orlando and regularly danced at Pulse. They were all ok, at least physically, but had lost many good friends and suffered deep emotional wounds. We also spent that morning launching Equality Florida's first GoFundMe campaign and set an audacious goal of raising $100,000 for the victims and their families - we exceeded that goal in 90 minutes. It went on to become the largest GoFundMe campaign in history raising $9.5 million from 120,000 donors in 120 countries, and we made certain every penny went to victims and families, even the interest earned on the account. I remember those early days after Pulse, when Governor Rick Scott initially refused to even say LGBT when he talked about the attack, and I remember how afraid I was that the homophobia that fueled this hateful massacre would not be exposed. Worse, I worried the world wouldn't care as much because most of the victims were LGBTQ (those of us who lived through America's indifference to the AIDS crisis in the 80's will always carry this fear). Which is why the global outpouring of support, the images of love and tears at rallies from Hong Kong to New Zealand, filled me with hope even at a time of such darkness. The deep work of uprooting bigotry will not be easy. 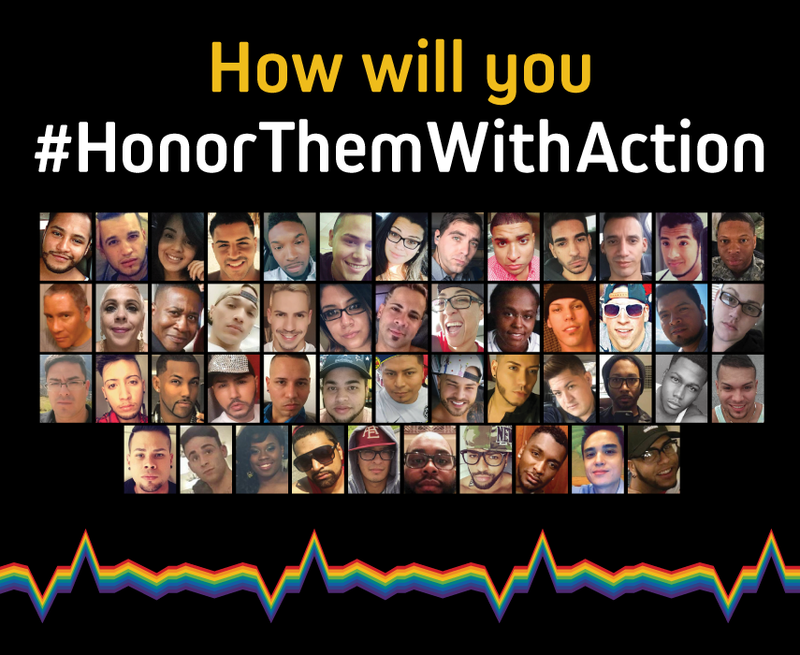 When we launched #HonorThemWithAction we knew it would be a long haul requiring allies the world over to truly shift our culture. As just one example of the progress possible, we launched our Safe and Healthy Schools project two months after PULSE - because we know that all too often the bias and bigotry that festers in these shooters began in their school years. In less than two years our little project has provided LGBT anti-bias training to over 5,000 principals and district leaders in 60 of Florida's 67 school districts, from elementary to high school, from the rural panhandle to South Florida. We're just getting started, but we are already truly having an impact on this 3 million student system. Another Pulse, or Parkland, or Vegas, or Sandy Hook is not inevitable. It is NOT inevitable. Not if we believe we can win and work with the grit and determination of the Stoneman Douglas students and young people across the country who are demanding this be the turning point. This is our year, it must be. #neveragain #honorthemwithaction"